The impact of Fonterra on the New Zealand economy has been massive and it is still not licked yet. It was somewhat unfortunate that in the very same week Fonterra marked its first decade of mainly successful existence in New Zealand; next season’s forecast milk price was slashed by 45 cents a kilogram of milksoilds and its farmers in the upper of half of the North Island were forced dump millions of litres of milk that were unable to be processed due to the Maui gas pipe leak. But this is probably a fair reflection of how Fonterra has performed during the past decade. On the whole, the dairy co-operative has performed pretty well, with numerous ups and down – many of which have been beyond its control. Despite these recent hiccups, there is no doubt about the major impact the co-operative has played in the New Zealand economy during the past 10 years. Fonterra was set up in 2001 and represents about 96% of all dairy farmers in the country who collectively own 4.4 million cows. It is the world’s leading exporter of dairy products and New Zealand’s largest company with $14.1b in assets. The company collects more than 15 billion litres of milk a year from New Zealand farms and sells more than 2.3 million metric tonnes of product to export markets around the world. The dairy giant has paid around $65 billion to farmers and shareholders since its inception a decade ago. According to a report released by the New Zealand Institute of Economic Research (NZIER) in December last year, the dairy sector accounts for 2.8% of the nation’s gross domestic product – or $5b. This contribution is greater than the GDP contribution of the combined fishing, forestry and mining sectors and around 10 times as large as the GDP of the wine sector. The dairy sector is also a major employer, providing jobs for around 35,000 workers in farms and processing plants. ector’s activity had stayed at 1999 levels. And this growth shows no sign of stopping. Fonterra announced another record financial performance and record milk production for the current year, which will see it distribute milk payments and dividends this year totalling $10.6b – $2.4b more than in 2010 and $1.5b more than its previous best year in 2009. Fonterra chairman Sir Henry van der Heyden said the benefits of a higher Fonterra payout extended well beyond farmgate, because farmers spent around 50 cents out of every dollar on locally produced goods and services.Van der Heyden believed it was fitting that the record result was achieved as Fonterra marked its 10th anniversary. “Ten years ago, the New Zealand dairy industry came together to form a national champion in Fonterra. Our collective vision was to create a business with the scale to become a world leader in dairy ingredients and maximise dairying’s contribution to the New Zealand economy. Tony Gibbs led Turners challenge to Zespri's kiwifruit export monopoly as he did to Enza's apple export monopoly a decade before. But his demise from the company seemed to see the challenge peter out. Turners & Growers has given up on its challenge to the export monopoly of kiwifruit marketer Zespri. Turners claim the backdown is due to the kiwifruit disease crisis currently hitting the industry. Managing director Jeff Wesley says his company was going to appeal against last year’s High Court ruling which upheld the regulations giving Zespri its kiwifruit export monopoly. However, he says the challenge has been abandoned because the Psa disease crisis was putting kiwifruit growers and their families under severe pressure. “Psa will change the industry in a way that no-one could have imagined. Like all kiwifruit growers, Turners & Growers is hoping that a solution will be found quickly and that needs to be the focus for everyone in the industry at this time.” The independent fruit export company launched a string of publicity and legal actions in 2009 aimed at overturning Zespri’s monopoly right to export New Zealand kiwifruit to all countries except Australia. The industry has operated a single-desk system in export markets since 1987 when the Kiwifruit Marketing Board became responsible for marketing New Zealand’s crop. The majority of growers voted then to exclude numerous exporting firms because of a perception they were undercutting each other in overseas markets and consequently reducing orchard returns. Zespri International won its single desk exporting status in 1999 when the kiwifruit industry was restructured. Under legislation sought by growers only Zespri or those exporters with a collaborative contract can legally sell kiwifruit in overseas markets other than Australia. The raid on Zespri’s export monopoly was led by Turners former chairman Tony Gibbs who had fronted the company’s similar challenge to Enza’s apple export monopoly a decade or so earlier. “I believe the time has come to challenge this outdated monopoly. Offshore retailers are crying out for alternatives and now that Turners & Growers has its own green, gold and red varieties we are in a position to become, once again, a major force in the kiwifruit industry.” Gibbs was at the helm of Guinness Peat Group (GPG) when it staged a corporate raid on the grower-controlled Enza company – which had succeeded the Apple and Pear Marketing Board –and gained control of Enza assets and the brand was taken over by its subsidiary Turners. This proved to be a long and bitter battle, but one the cantankerous Gibbs seemed to thrive on. However, T&Gs battle to challenge Zespri’s export monopoly seemed to run out of puff when Gibbs was dropped from GPG – after a long and grueling battle with his former ally Sir Ron Brierley – over the future direction of the corporate raider. It seems the loss of Gibbs from Turners – and his passionate dislike for industry body monopolies – has seen the company lose its desire, in the face of mounting criticism from growers, to break Zespri’s export monopoly. Turners challenge has been most unpopular with kiwifruit growers from the get-go and its decision to quit due to Psa seems like a convenient – and handy – excuse for the company to save face and backdown. How good of an investment is Landcorp? Chair Jim Sutton claims Landcorp's latest result is a good return to the Government , but really how good is it ? Recently there was more even proof that the farming sector is doing okay with news that the Government’s farming entity Landcorp is paying taxpayers a $27.5 million dividend this year. This result is a big improvement on last year’s $10m pre-tax profit. The state-owned enterprise reported a $42.2 million net operating profit before tax for the year ended June 30. The corporate farmer says this profit improvement is due to higher meat, dairy and wool prices and favourable growing conditions through the second half of the year. The dividend is also a big increase on the previous year’s $18m. The profit came from $94.6 million, made from a record production of 12.5m kilograms of milksolids and another $51.3m from sheepmeat. Its average lamb price rose 40 per cent– as the export lamb market made a strong recovery. Meanwhile, beef earnings were up 28 per cent to $40.1m, along with wool, venison and forestry. The company also made an extra $10.3m on land sales. Landcorp chairman and former agriculture minister Jim Sutton said it was gratifying that the state farmer could make such an increased cash contribution to New Zealand after the Christchurch earthquakes. “Our commitment in 2011-12 and beyond is to keep delivering in financial terms and in response to other big economic and environmental challenges facing this nation,” he said. But is Landcorp really delivering all that greater return to taxpayers and the Government? The state-owned organisation currently owns 175,000ha of farmland, valued $1.05b and livestock worth some $297m. It has a total asset base of $1.66 billion. Even with my rudimentary maths skills, I can see that a $42 m profit and a $27 m dividend is not all that of a wonderful return on capital base – in fact is pretty awful! So is Landcorp really that good of an investment for the Government and taxpayers? While I know it is almost now considered sacrilege to talk about state asset sales and even a more treasoness offence to consider selling farmland to foreigners – especially those of Chinese extraction. But should we not at least discuss it? When the Government is running massive deficits and struggling to pay for essentials such as healthcare and educations – let alone the rebuild of Christchurch as Jim Sutton points out – can New Zealand afford to sit on a near $1.7 billion of assets with such a poor rate of return? Andrew Ferrier leaves Fonterra with a lot of good things, but there was also some bad and downright ugly as well. 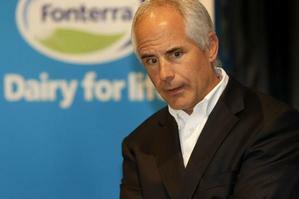 Fonterra recently waved goodbye to its Canadian-born chief executive Andrew Ferrier after eight years in the top job. As is often the case when a popular and long-serving CE departs a company, Ferrier has been sent off in a blaze of hagiographic media articles about going out on top. While there is some truth to this, the fact remains not everything Fonterra did under the likeable Canadian’s reign was a roaring success. 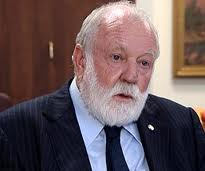 Ferrier’s eight-year tenure as chief executive of the country’s biggest company is like one of those Clint Eastwood western’s – a bit of a good, bad and ugly story! 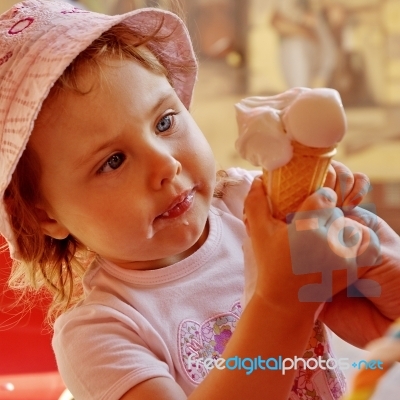 Obviously the good includes Fonterra’s latest financial performance. For the year ended July 31 2010, the company posted revenue of $16.7 billion. This includes a record payout of $8.25, comprising a “Farmgate Milk Price” of $7.60 per kilogram of milk solids for the 2011 season and a “Distributable Profit” of 65 cents per share for 2011. This is $1.55 ahead of the prior period’s $6.70 and exceeds the previous record of $7.90 in 2008. The cash payout of $7.90 is also a record and is $1.53 higher than the prior period’s $6.37. Meanwhile, the forecast payout to farmers, before retentions for the 2010-11season, is a record $8 to $8.10 per kilogram of milk solids. Ferrier can also look back fondly on the smoother integration and more united attitude of the co-operative under his watch. When he came on board, there were still a few hangovers left over from the NZ Dairy v Kiwi legacy companies. This was further inflamed when inaugural CE – and former Kiwi boss – Craig Norgate was dumped in favour of the genial Canadian. Ferrier, to his credit – along with chairman Henry van der Heyden – has instilled a one company culture which has seen these pre-merger rivalries all but disappear for both farmers and staff. The bad would have to include Fonterra’s continued association with poor-on farm environmental behaviour and the co-ops reluctance to punish farmers who continually transgress. The dairy giant has also been slow – and too often silent – to react to unfair criticism of it and/or farmers on any number of controversial issues including: the aforementioned environmental issues, ETS-related matters, use of palm kernel extract, milk prices and dairy farmers paying tax. A much more front-footed approach by Fonterra – rather than its risk-averse default setting – is something Ferrier could and should have led. Meanwhile, the ugly – and the ugliest event to happen under Ferrier’s watch – was back in 2008 when Chinese dairy company Sanlu, of which Fonterra owned 43%, caught up in a melamine contamination scandal in which at least six infants died. Fonterra, and Ferrier, came under intense media scrutiny, Sanlu went bankrupt and the co-op wrote off its $201 million investment. Another less than pretty moment was the 2006 proposed capital restructure, which was shot down by farmer anger with poor communication and explanation of the scheme by Fonterra. While Fonterra’s Board ultimately carried the can for this, it would have been Ferrier and his executive who came up with the concept. Now the current TAF proposal is entering similar territory as more and more farmers start to baulk at the idea and Fonterra will have to move quickly to place them or lose this battle as well. 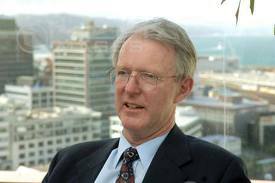 Overall, Andrew Ferrier can be enormously satisfied with his time in charge of Fonterra. However, a ‘warts and all’ view proves his time was not all beer and skittles as some in the media have portrayed it.